SAN FRANCISCO (KRON) - The San Francisco Fire Department has announced the passing of one of their own on Wednesday morning. 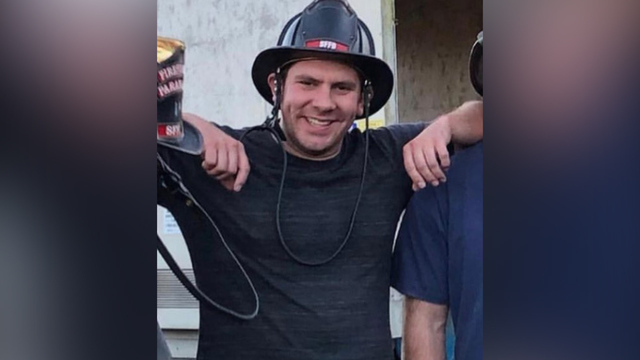 Firefighter Steven Pacatte, with Station 14, was on his way into work when he was involved in the deadly car accident, the station said. In a statement released by the department, Pacatte was hired in Jan. 2016 and just recently was sent to the Camp Fire. Pacatte leaves behind his expecting fiance, mother, father, and sisters. According to the California Highway Patrol, the accident occurred around 5:30 a.m. on Wednesday. Pacatte was driving through heavy fog eastbound Occidental Road in Santa Rosa in a black Chevrolet Silverado. CHP says he was driving behind a Recology garbage truck when Pacatte tried to pass it by getting into the westbound lane. Officials say that is when Pacatte hit head-on with a white Chevrolet Suburban. The left side of the garbage truck then collided with the back of the Silverado, authorities say. The woman driving the Suburban was taken to Memorial Hospital with major injuries and is currently in critical condition. The driver of the garbage truck was unharmed, officials say.